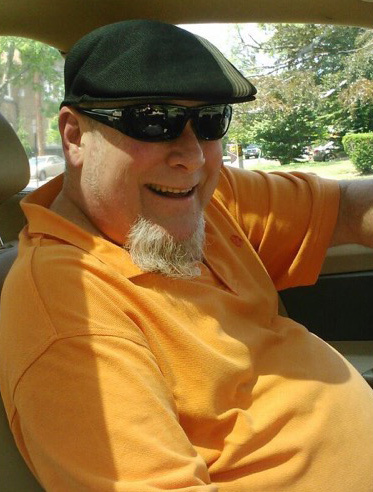 Kenneth Green, 57, (aka X.RAY BURNS), passed away on Sunday, February 10, 2019 at Villa Marie Claire in Saddle River, NJ. Relatives and friends are invited to visit at the Thiele-Reid Family Funeral Home, 585 Belgrove Drive, Kearny, NJ on Thursday, February 14, 2019 from 4 to 9 p.m. The funeral service and cremation will be private. Ken was born in Kearny and was a lifelong resident. He was a Real Estate Appraiser for Paradise Appraisals in West Caldwell, NJ for the last 20 years. Prior, he worked for Ebert Appraisal Company in Cedar Grove, NJ for 10 years. Kenneth Green, under the moniker “X.Ray Burns” joined the WFMU, 91.1 FM air staff in 1986 as co-host with Glen Jones. Green also did the program solo when Glen was on assignment. Together, Jones and Green broadcast from locations along the Jersey Shore, the Rock & Roll Hall of Fame in Cleveland, OH, New York’s Museum of Television and Radio, and in Jersey City, NJ, where they hosted an annual "Kill the Holidays Party," with revelers posing with Green, who would dress up as "Santa Clown," with makeup inspired by his favorite band, "The Insane Clown Posse." A memorial service will be held at WFMU in Jersey City at a later date. Ken is survived by his wife, Sharon (nee Romansky) Green; his mother, Agnes (nee Smith) Green Shaffery and her husband, Raymond; one sister, Deborah Green and one brother, Richard Green. He was the brother-in-law of Brian and Tina Romansky and uncle of Cameron Green and Sabrina & Eric Romansky. He also leaves his mother-in-law Lorraine (nee Stern) Romansky and her husband, Wayne. He was predeceased by his father, Walter Green, Jr. in 1992.